While teaching independent minded Witches and Pagans can best be likened to herding cats, I’ll take cats over sheep any day. Each group–the next one will be my twenty-second–has its own unique personality and flavor, as different from one another as licorice is to vanilla is to cinnamon. Are you part of next year’s flavor? Ever fresh, ever-renewing, my students are my teachers, and they have taught me well. I am now interviewing for my next program, which begins April 26th 2014. If you have been considering this course, don’t hesitate–I am reaching retirement age. Check out my website at www.cerridwenfallingstar for more information. 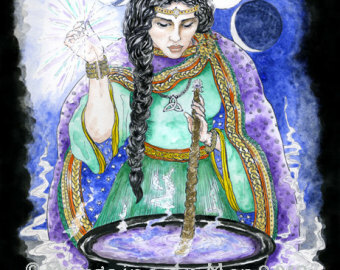 A bath in Cerridwen’s cauldron will bring you the transformation you need. Looking forward to hearing from you. The Year & A Day program is for those of you who know that you want to explore a shamanic path and are ready for a guide who can take you farther and deeper than you have gone alone. There will be other events available for beginners. This is advanced work. To be in this program will require courage, commitment, and integrity.